Pike topped 14 other parties with a high bid of $4.01 million in a sealed-bid auction for the 123-acre facility, which ended Dec. 1. Pike, whose address was not listed by the GSA, is working with Mellivora Partners, of Birmingham, Alabama, to begin the conversion. The sale followed an online auction for the property that ended in July, when an $11.2 million bid was received but the anonymous bidder was unable to complete the transaction. A 123-acre former Navy installation in Pendleton County is up for auction again after federal officials say the previous high bidders were "unable to complete the transaction." The Charleston Gazette-Mail reports the U.S. General Services Administration said in a statement Tuesday that a new auction for the former Navy Information Operations Command installation would be held, in which bidders would be able to mail in bids and deposits. 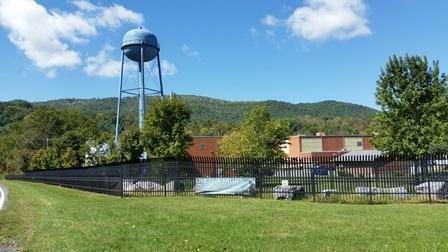 A 123-acre former Navy installation in Pendleton County has sold at auction. The Charleston Gazette reports the online auction for the former Navy Information Operations Command installation ended Monday night, after a bid of $11.2 million went unchallenged for a 24-hour period. A nonprofit is holding a public meeting this week on its proposal to convert a Navy base to a career college. KVC Health Systems Inc. consultant Thomas S. Bailey will discuss the proposal at the meeting on Wednesday at a community center in Franklin. The Navy plans to close its Sugar Grove base in Pendleton County in September. KVC wants to convert the base to a career college for young adults who emerge from foster care without a support system. West Virginia officials say plans are moving forward to convert part of a soon-to-be closed Navy base in Pendleton County into a state prison. Corrections Commissioner Jim Rubenstein told legislators Thursday that the state has submitted a formal application to the federal General Services Division to use part of the 122-acre Sugar Grove military base. The Charleston Gazette reports that the Navy announced plans in 2012 to close the Naval Information Operations Command base.